Chao first traveled to Canada on a two month Summer camp when he was only 13 years old to the beautiful city of Vancouver. He returned to Canada at the age of 16 years old to when he then completed his studies at a local high school in Winnipeg. In the following years, he met his beautiful wife and to date have a wonderful 3-year-old son. Choosing to relocate to Southern Alberta in 2014, drawn by the Albertan ‘can-do’ attitude and the close proximity of the Rocky Mountains and Calgary. He says he hasn’t regretted it for a second. Professionally, Chao has extensive experience in serving others: while working for a trucking company in Winnipeg he developed a deep understanding of the high expectations of his customers. After 7 years Chao made the switch to Real Estate and never looked back. Becoming a Realtor has been a natural progression for Chao. A believer in lifelong learning, he is constantly researching real estate news and trends, ensuring that his clients get the best representation possible. It’s this passion that drives his commitment to exceeding the expectations of those who trust him to represent them in one of the most important transactions of their lives. 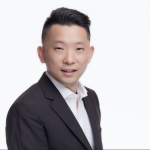 Chao ’s main priority is ensuring his clients receive the best service with consistent communication and is always willing to go above and beyond. His goal is that with each transaction his clients will thoroughly enjoy and understand the process of buying and selling a home.